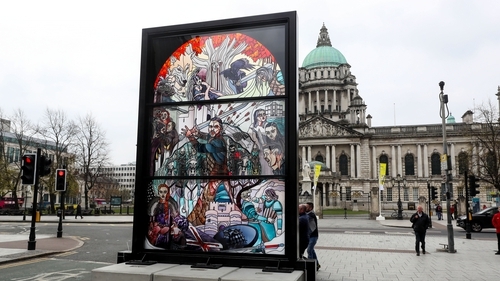 The unveiling opposite the main entrance to Belfast City Hall came just hours after superfans stayed up until 2am to watch the first of the six final episodes. The first window is dedicated to the House Stark. The HBO fantasy epic has been filmed on locations across Northern Ireland over the last ten years, and watched by millions of fans across the world.